Out of the Ordinary – Traxx’s 40th Birthday Gala on Saturday! and superficiality and aloofness is what is mostly presented on the larger scale of events. Nation takes it’s friendships serious! This Birthday-Party is a gathering of friends and family from all over the globe. join in on the pilgrimage to Berlin at the end of July. 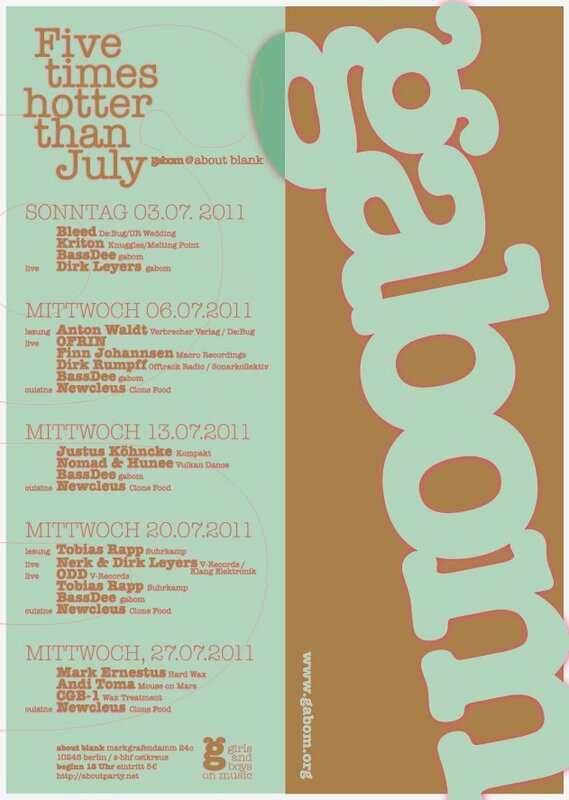 and Nation & We like… Booking are proudly presenting this event in conjunction with Tape Club, Berlin. drove us to throw this function. and to free your mind of the baggage of history, because on this night we will MAKE history! Tonight * July 20th * Night Flight with Daniel Wang at Soju! 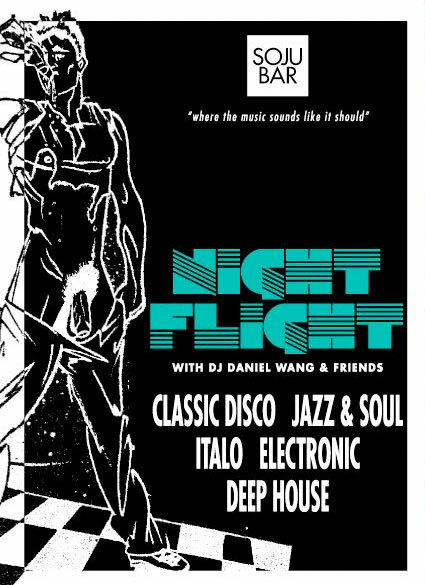 I join my dear friend Daniel ‘Dancer’ Wang tonight at his bi-monthly Night Flight party at Soju Bar. In principle it’s queer but everyone is invited. Men, Women, Etc..
Tonight * Hunchin All Night * this is the SUMMER special! This whole night will be focused on sweat from the summer heat, not work. Balearic islands, sunglasses and a boat on the coast, the smell of suncream, songs, songs and more songs. After last months jak session with Traxx, i wanted to mellow things out, yet keep the joy on the dancefloor. So there might a dance track found on a folk album, a reggae band puttin’ the disco boots on, disco songs dedicated to summer nights, ecstatic house music for the islands, dubbed-out grooves, warm voices, music made in shorts. Gabom – this evening at About Blank. TODAY IS GABOM DAY !!! 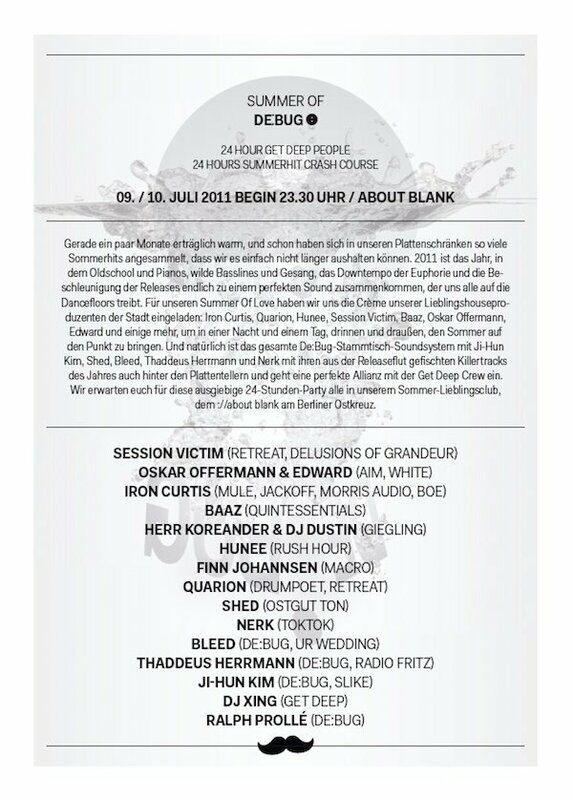 The 24hour De:Bug Summerparty at About Blank is in full preperation – there is a timetable now, and looks like the sunday will be a sweet family affair. I play from 5pm-6:30pm, come through, gonna be good! i play 3 very different parties this week, different places, contexts, friends. you shouldn’t miss one of them. tomorrow’s sun. thursday, the Beautiful Swimmers hit town for their first europe tour gig in berlin. There is a launch party for a very interesting future watch, that can almost make ramen soup. Everything happens at Voo Store in Kreuzberg, starts at 8pm, ends midnight, probably involves free booze and u had to rsvp until yesterday. No sweat, i am sure i can bring a few heads, so keep ur names comin my way to get yourself in. Afterwards Speculator (from nyc) and Marion Guillet (from paris) play, yea, Soju. We all go. 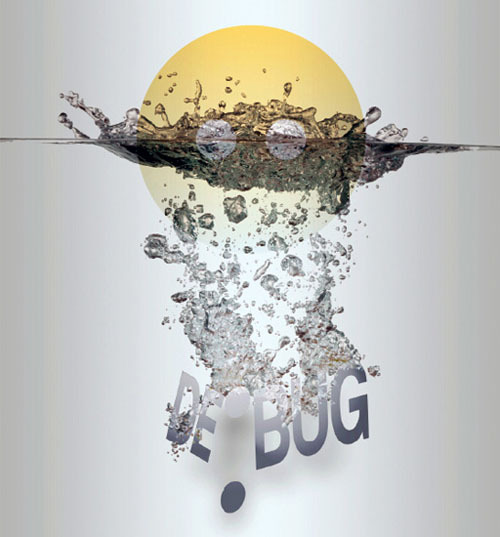 saturday/sunday the De:Bug Family and the Get Deep party crew throw the nicest summer party, including (almost) everyone whose release got reviewed in de:bug this year, your beautiful self, a big bbq, a garden – summer anthems – all night all day. Yes, its supposed to be summer, and its my birthday too. Well, all these parties will be quite different, a nice challenge not to repeat one record over this week, although i just got this magic Eddie Hooper record on Soundway (thanks Emil! ), which will be an exception and definitely played on all 3 parties. The Official Mutewatch Launch Party on Thursday! My dear friends, the Beautiful Swimmers start their insane and much deserved europe summer tour 2011. First stop will be in berlin on thursday to play the Official Mutewatch Launch Party at the Voo Store in Kreuzberg. I will play the warm-up from 8-10pm and the Swimmers will kill it for two hours until midnight. There might be free booze and such, not sure, rsvp deadline was yesterday, urghs, but i am sure i can get you guys in. hit me up! 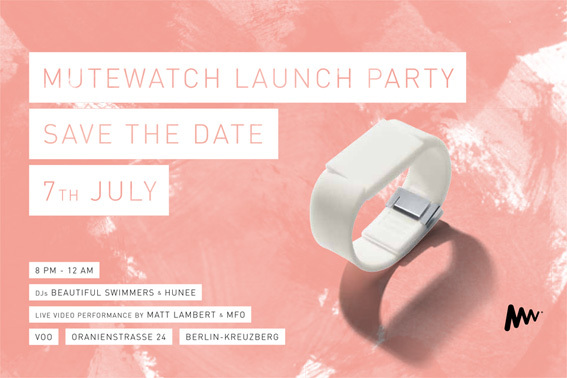 GET READY to celebrate the Global Launch of Mutewatch at the awesome Voo Store in Kreuzberg, Berlin! Developed in Stockholm, this “anti-watch” (Mashable) will be sold worldwide at stores such as Colette in Paris, Storm Art and Fashion in Copenhagen, Cara & Co in Moscow/Sydney and New Museum in NYC. In Berlin, we will soon hit Voo and Firmament. We are thrilled to bring you our favourite disco DJs all the way from Washington D.C – Beautiful Swimmers (Future Times) – and the amazing Berlin resident Hunee from our fav Beats in Space. At 10.30 pm, a live video performance, directed by Matt Lambert will take place. PLEASE RSVP TO RSVP@MUTEWATCH.COM BEFORE SUNDAY 3RD JULY. This is gonna be one hell of night and we look forward to seeing you there! 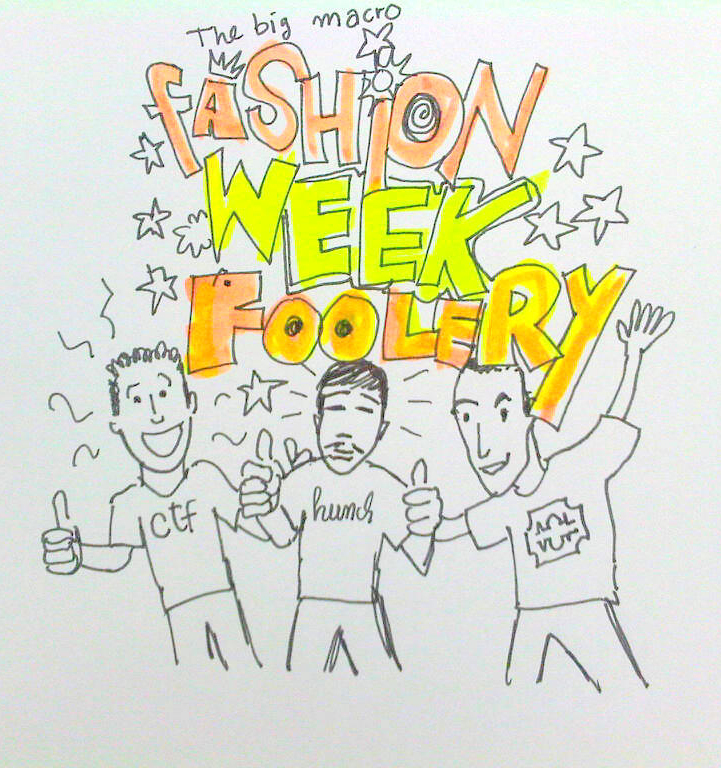 The Big Macro Fashion Week Foolery on Tuesday! STEFAN GOLDMANN [MACRO], HUNEE [RUSH HOUR/HUNCH], MMF? [CTF/DRUFFALO HIT SQUAD] and a bunch of people with a camera shooting a movie about the Life of Stefan G…..and you! Fashion Week! Tuesday! 500 + litres of undiluted Soju, uncompromised easyjetty technodissko! 3 of the hottest DJs right now representing 3 of Berlin’s hottest labels right now available. Glam! Girls! Boys! A hangover next day guaranteed.